Matt Smith appeared today on the Jonathan Ross show in the UK. For those of us who missed the broadcast (or who, like me, couldn’t see it due to a pesky ocean being in the way) I’m collecting the clips here. The Guardian has posted an interesting interview with Matt Smith on their website a few days ago which is well worth reading. This is the first extensive interview with Matt Smith I’ve seen online and gives a few tantalizing looks into how he will be playing the eleventh Doctor. There's been a rumor floating around for ages that award-winning author Neil Gaiman was going to be writing a new Doctor Who episode. The rumor has finally been confirmed, and it seems he will be writing an episode for Matt Smith's second series. The Daily Express is reporting that a BBC mole has told them that Tom Baker will be returning to the series after over twenty-eight years to appear alongside the 11th Doctor Matt Smith. 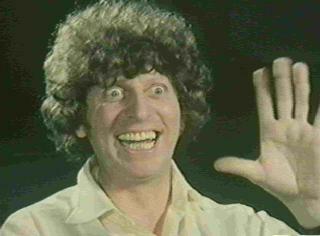 Tom Baker played the fourth Doctor, from 1974-1981, and is widely considered to be the most popular and iconic of the classic series Doctors, only surpassed in worldwide popularity by David Tennant in recent years. 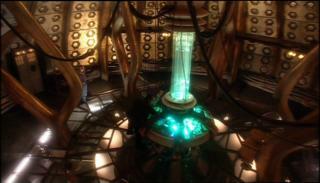 The Telegraph is reporting that the current TARDIS interior will be given “a complete overhaul” before the end of David Tennant’s run, just in time for new Doctor Matt Smith to take over.